Sally literally grew up in charter when her family relocated from New Zealand to the British Virgin Islands on their schooner to pursue the charter industry while it was still in its infancy there. Sally’s passion for travel was therefore planted at an early age and has taken her on three Atlantic crossings and six years of on board crewing, ranging from smaller to larger luxury yachts within the Mediterranean, Caribbean and Americas. 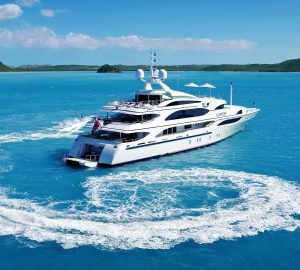 Following this she returned to The BVI where she spent the next several years working on creating charter vacation experiences that were second to none, ‘just to see them go home happy and relaxed, full of memories they will cherish for years to come, that’s what it’s all about'. Depending on what the desired holiday requests are, there are a great number of choices worldwide. The Caribbean is an all year-round location with the BVI being the easiest and most comfortable sailing, along with many islands to visit, offering restaurants, bars, nightlife and more. The Leeward islands is a great hub for European travellers, with many direct flights daily and a real mix of cultures. Further south the Grenadines offers good sailing, and a more traditional Caribbean vibe. The Mediterranean has something for everyone, whether you are looking for the most luxurious holiday to the most relaxed and laid back holiday. Every type of yacht, size and budget is available, spanning from the West Med to the East Med. Croatia is increasingly growing in popularity, this stunning location is filled with historical interest and exciting locations, a one way cruise is often the way to make the most of it, and many yachts will offer this as an option. Getting fantastic feedback from happy clients has to be the most rewarding feeling, just knowing that the holiday they had was that of a lifetime and they can’t say enough, that’s the icing on the cake! Are extremely important, not only for viewing the yachts, but to meet the crew. Having first-hand knowledge of the yacht, crew and moral aboard is key. 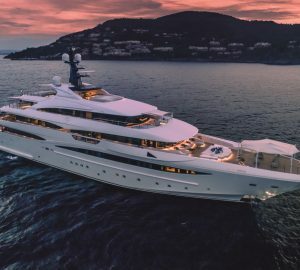 Making sure you are prepared with a list and the best strategy to get around the yachts effectively, enabling you to view as many as possible, if not all, is not an easy feat with the sheer number of great yachts at most shows, but it is well worth making the effort. The yachts are definitely getting better as far as creative and well thought out designs and features! There are some extraordinary builds available with incredible amenities aboard to boot. Luxury catamarans are certainly keeping up, the styles, layouts, space and amenities available are incredible, with many offering a great array of water toys, diving, and the latest in entertainment facilities. The Caribbean fleet of catamarans is so vast that the rates are really competitive and the crews are top notch. With first hand knowledge of the Caribbean having lived there for a number of years, working on and around the charter industry, I feel that this region is somewhere I can offer without hesitation. 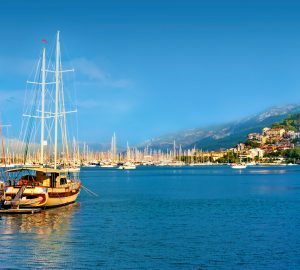 I am familiar with the yachts available and have plenty of fantastic tips for great itinerary ideas, whether guests wish to keep busy with socializing, water sports or simply enjoy a secluded holiday. Read expert broker advice articles here. I have great love for animals, more specifically rescue pets. I brought 4 pets from the Caribbean to the UK when moving, and have since adopted an abandoned dog here in the UK. Cooking, I really enjoy trying out new recipes and cooking techniques, I suppose I am a bit of a gadget girl when it comes to the kitchen too! Growing up sailing in the Caribbean was really fortunate, but now residing in Scotland, the sailing is beautiful on our C&C 39, albeit a bit chiller than the Tropics. When not walking the dogs on long hikes over the weekend, or sailing, I really enjoy a good run, weather pending of course. If you have any questions about chartering a yacht, please do not hesitate to get in touch.